Cards Against Humanity, which bills itself as a “party game for horrible people,” decided that it wanted to help potential customers “experience the ultimate savings” on Black Friday by taking its game off its website completely. 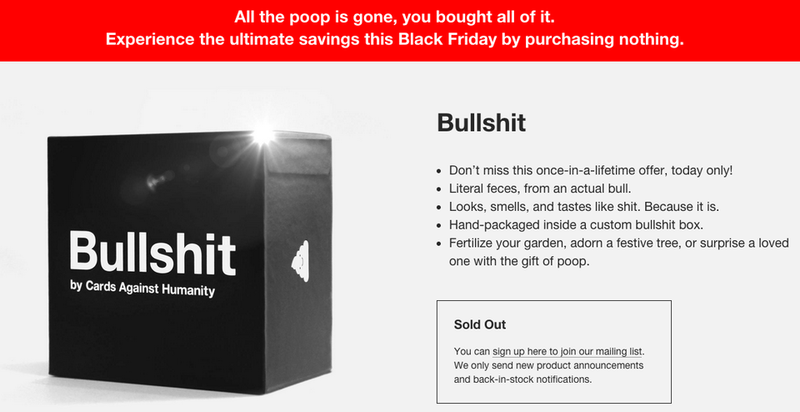 Instead, though, the site offered a bizarre and hilarious “deal”: It sold boxes of bull poop for $US6 each. Creator Max Temkin assured people on Twitter that the deal was legit. 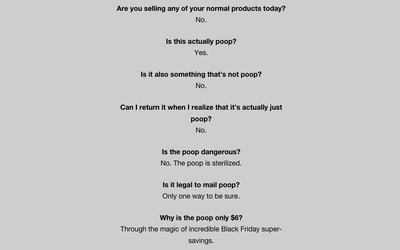 If you buy the poop expecting it to be something else that’s not poop, you’re actually buying a valuable life lesson for $US6. 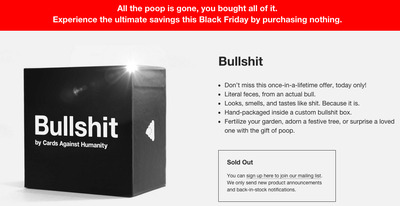 Miraculously, the site sold out poop boxes, meaning Cards Against Humanity sold 30,000 boxes, Temkin told me via tweet. 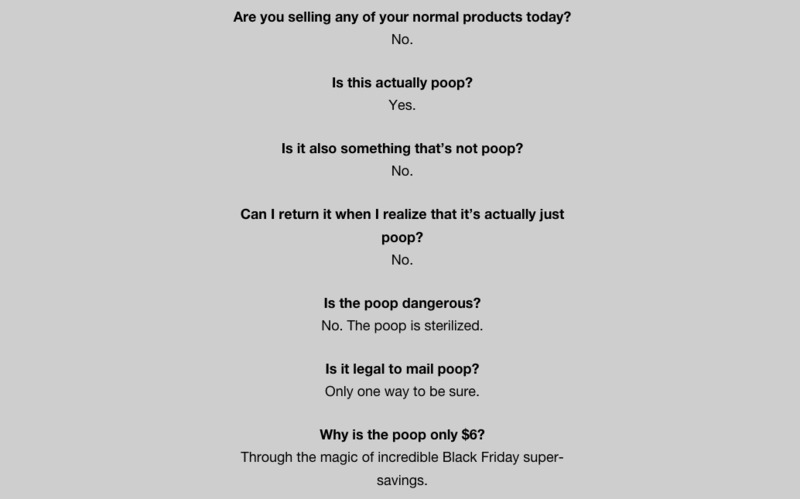 That’s $US180,000 of revenue from poop. This isn’t the game company’s first quirky special. Last year, Cards Against Humanity sold its game for $US5 more than usual, and ended up getting a huge spike in sales. It’s also holding a Ten Days Of Kwanza Or Whatever sale where for $US15, customers will get ten mystery gifts throughout December.